I. The appeal of the applicant ("appellant") lies from the decision of the examining division to refuse European patent application No. 12 756 468.0, entitled "New pepper plants and fruits with improved nutritional value". II. The examining division held the subject-matter of claims 1 and 2 of the set of claims filed with letter dated 7 August 2015 "to be within the exception to patentability Article 53(b) EPC and Rule 28(2) EPC" and refused the application. III. With the statement of grounds of appeal, the appellant maintained the set of claims underlying the decision under appeal as the main claim request. They submitted arguments to the effect that Rule 28(2) EPC was in contradiction to Article 53(b) EPC as interpreted by the Enlarged Board of Appeal in its decisions G 2/12 and G 2/13. They also requested that the board handle the case on an expedited basis. - a content in lutein greater than 5, particularly greater than 6, more particularly greater than about 7 μg/g of fresh weight, a content in violaxanthin greater than 2, particularly greater than 2,5, more particularly greater than 3, even more particularly greater than 3,5 μg/g of fresh weight." IV. The board was enlarged in accordance with Article 21(3)(b) EPC and Article 9 RPBA. The board issued a summons to oral proceedings and informed the appellant that it had decided to accelerate the appeal proceedings. By a further communication of the board, the appellant was informed that, at the oral proceedings, the board intended to hear them on the allowability of the appeal with regard to the reasons for refusal under Article 53(b) EPC in conjunction with Rule 28(2) EPC first. It then intended to hear them on the request for the grant of a patent. In that context, the board set out its preliminary opinion that the claims of the sole request on file appeared to have deficiencies under Articles 84 and 56 EPC. V. In reply, the appellant filed an amended set of claims, termed auxiliary request 4, and submitted further arguments as regards the validity of Rule 28(2) EPC, as well as arguments regarding the clarity of the claims and inventive step of the claimed subject-matter. VI. Observations by five third parties (Article 115 EPC) were received. They were communicated to the appellant for comment (Rule 114(2) EPC). VII. Oral proceedings before the board were held on 5 December 2018. At the end of the oral proceedings, the chair announced the board's decision. Decision of the Administrative Council CA/D 6/17 of 29 June 2017 amending Rules 27 and 28 of the Implementing Regulations to the European Patent Convention. (a) The sole reason for the refusal of the patent application was new Rule 28(2) EPC (effective as of 1 July 2017) that stated that "European patents shall not be granted in respect of plants or animals exclusively obtained by means of an essentially biological process". The examining division had reasoned that the European Commission, in its Notice had clarified the intentions of the EU legislator when adopting the exclusion of essentially biological processes in Article 4 of the EU Biotechnology Directive (Directive 98/44/EC of the European Parliament and of the Council of 6 July 1998 on the legal protection of biotechnological inventions; further referred to as: "the Biotech Directive") and that Rule 28(2) EPC therefore constituted a lawful clarification of the scope of Article 53(b) EPC. However, the view of the European Commission set out in the Notice was not legally binding, as only the Court of Justice of the European Union (CJEU) was competent to issue a binding interpretation of the Biotech Directive. Article 53(b) EPC and in particular the patentability of plants resulting from essentially biological processes had been reviewed by the Enlarged Board of Appeal (EBA) in decisions G 2/12 and G 2/13 (Tomato II/Broccoli II). The EBA had held that Article 53(b) EPC does not exclude plants from patentability, even if they are obtained through an essentially biological process. Rule 28(2) EPC was therefore in conflict with Article 53(b) EPC as interpreted by the EBA. Having regard to Article 164(2) EPC, Article 53(b) EPC, as interpreted by the EBA, prevailed and Rule 28(2) EPC was to be held invalid or, alternatively, to be interpreted in line with decisions G 2/12 and G 2/13 and the Biotech Directive. (b) The EPC had to be in alignment with the Biotech Directive. In decisions G 2/07 and G 1/08 (Broccoli I/Tomato I) the EBA had deviated from the principle of alignment with the Biotech Directive in adopting a broad definition of essentially biological processes as being processes comprising steps of sexual crossing and selection and defining such steps as non-technical, irrespective of their reproducibility and technical character. The Biotech Directive however linked the technical character of the invention to reproducibility. Also, according to Rule 27(c) EPC, only non-technical processes qualified as essentially biological. The Notice was based on the same narrow definition of essentially biological processes. If the Notice were to be taken as a basis for Rule 28(2) EPC, then essentially biological processes needed to be interpreted in line with the narrow definition in the Biotech Directive. The definition of essentially biological processes under the EPC had thus to be realigned with the narrow definition provided in the Notice and the Biotech Directive. Based on the Notice for which the narrow definition was instrumental, the Administrative Council did not have the competence to combine Rule 28(2) EPC with the broad definition of essentially biological processes. If Rule 28(2) EPC were to be combined with the broad definition of essentially biological processes, the result would be in conflict with Article 53(b) EPC, as interpreted by the EBA, as well as with the need for alignment with the Biotech Directive. In that case, the implementation of Rule 28(2) EPC was outside the legislative power delegated to the Administrative Council. (c) In case the board was not minded to follow the appellant's lines of argument, it should refer questions to the EBA. The objections as regards lack of clarity and inventive step had been raised by the board, two months before the oral proceedings. The case law as regards clarity had developed recently and appeared to set a new standard. It was not known whether the features in claim 1 defining the extreme dark green colour of the fruit at immature harvestable state, i.e. the chlorophyll A and chlorophyll B, lutein and violaxanthin content, were inherent features of the San Luis Ancho pepper disclosed in document D1. An analysis of the chlorophyll and carotenoid content of the San Luis Ancho pepper could provide the relevant information, however, the appellant's experts had not had sufficient time to carry out such an analysis. Thus, more time was needed to properly consider and address the objections. While there was no absolute entitlement for a party to have every aspect of a case examined in two instances, in the present case it would be justified to remit the case to the examining division for further prosecution. X. Several third parties supported the appellant's views on the validity of Rule 28(2) EPC and put forward additional arguments that can be summarised as follows. Rule 28(2) EPC did not respect the exclusive competence of the EBA to interpret Article 53(b) EPC, which was a violation of the separation of powers. In addition, the retroactive effect of Rule 28(2) EPC violated the principle of legitimate expectations as laid down in Article 28 of the Vienna Convention on the law of treaties. Applications and granted patents had been submitted in the expectation that claims directed to plants as such and plants obtained by an essentially biological process were patentable. The introduction of Rule 28(2) EPC was furthermore in conflict with Article 1 of the Protocol to the Convention for the Protection of Human Rights and Fundamental Freedoms, Articles 12 and 14 of the German constitution and Article 267 of the Treaty on the Functioning of the European Union. Rule 28(2) EPC was clearly not just a clarification of Article 53(b) EPC, but its introduction was politically motivated and outside the powers of the European Commission and of the Administrative Council. The Administrative Council had acted ultra vires amending Rule 28 EPC. It was unlikely that the EBA, even taking the Notice into consideration, would have come to a conclusion different to the one reached in decisions G 2/12 and G 2/13. The Notice lacked persuasive reasoning and there was no support for the assertions made. The EBA had thoroughly and extensively considered all legal information and aspects, in line with established international law, while the Notice limited itself to selected political statements in the preparatory work, obviously drawing conclusions with the intent to find support for a desired result. In line with the Notice, Rule 28(2) EPC had to be interpreted narrowly and only affect the patentability of plants and animals obtained by non-technical and non-reproducible processes. It should not exclude plants and animals obtained by technical breeding processes and/or which were reproducible and having a proper written description. XI. One third party put forward arguments contrary to those advanced by the appellant. These can be summarised as follows. Rule 28(2) EPC was of key importance in safeguarding the principle of free access to all genetic resources for breeding plants and the freedom to operate in crossing and selection. The Notice had not adopted a narrow interpretation of essentially biological processes but clearly referred to the interpretation of essentially biological processes as defined in decisions G 2/07 and G 1/08. It was evident that the EBA had arrived at a different conclusion than the one adopted in Rule 28(2) EPC. However, it was also evident that the EBA would have taken the interpretation of the Commission in the Notice into account if this interpretation had existed at the time of adoption of the decision. The Biotech Directive had been transposed into the Implementing Regulations of the EPC in 1999 in order to ensure that the European Patent Office (EPO) applied the two bodies of law in harmony. Such harmonious application was only possible if the EPO not only followed the words of the Biotech Directive but also its interpretation. It was therefore a logical step from the Administrative Council to adopt Rule 28(2) EPC as a responsible measure, taken in order to ensure consistency between the two instruments and with that, legal certainty. Moreover, there were reasons to believe that there were no contradictions between the EPC, the Notice and Rule 28(2) EPC. Auxiliary request 3: should the board intend to reject the request to remit the case to the examining division for further prosecution on the basis of the set of claims filed on 7 August 2015, a patent be granted on the basis of an amended set of claims filed as auxiliary request 4 with the letter dated 26 October 2018. 1. The appeal complies with Articles 106 to 108 and Rule 99 EPC and is therefore admissible. 2. Exception to patentability under Article 53(b) EPC in conjunction with Rule 28(2) EPC of the subject-matter of claims 1 and 2 was the sole reason given in the decision under appeal for refusing the application. 3. Article 53(b) EPC excludes from patentability "plant or animal varieties or essentially biological processes for the production of plants or animals". 4. Decisions G 2/12 (OJ EPO 2016, A27; Tomato II) and G 2/13 (OJ EPO 2016, A28; Broccoli II) of the Enlarged Board of Appeal (EBA) concern the patentability of plants directly obtained by and/or defined by an essentially biological process, the meaning of "essentially biological process for the production of plants" having already been defined in decisions G 2/07 (OJ EPO 2012, 130; Broccoli I) and G 1/08 (OJ EPO 2012, 206; Tomato I). The EBA considered that what remained to be determined was: whether or not the exclusion from patentability of essentially biological process for the production of plants "is limited to method or process claims or whether it also encompasses a patent claim for a product that is directly obtained and/or defined by an 'essentially biological process'." The EBA gave an interpretation of the meaning of this aspect of Article 53(b) EPC, considering its wording, the legislator's intention and taking into account the aspect of subsequent agreement and practice within the meaning of Article 31(3) Vienna Convention on the law of treaties, concluded at Vienna on 23 May 1969 (further referred to as: the Vienna Convention), as well as a systematic and historical interpretation (see Reasons, point VII.). 5. The EBA stated that applying the various methodical lines of interpretation to Article 53(b) EPC pointed towards not extending the scope of the process exclusion pursuant to Article 53(b) EPC "directly to a product claim or a product-by-process claim directed to plants or plant material such as a fruit, or to plant parts other than a plant variety" (see Reasons, points VII.6. (2) and (3)). (ii) whether allowing the patentability of a product claim directed to a fruit and of a product-by process claim directed to a plant or plant material rendered the exception to patentability of essentially biological processes for the production of plants meaningless ("legal erosion") (see Reasons, points VIII.(1). (a) and (b)). 8. In the context of considering a possible "legal erosion", the EBA pointed out that it was aware of the various ethical, social and economic aspects in the debate with regard to the questions posed to it and also that it had noted that in some Contracting States, namely Germany and the Netherlands, national legislation was amended to exclude product claims from patentability where the claimed products had been generated by an essentially biological process for the production of plants, while in other Contracting States no such amendments have been made. The EBA underlined that its role, however, was to interpret the EPC using general accepted principles of interpretation of international treaties and that it was not mandated to engage in legislative policy (see Reasons, point VIII.2.(c)). 9. As a result of its secondary considerations, the EBA saw neither a need nor a legal justification for altering the understanding of Article 53(b) EPC achieved by applying the traditional means of interpretation (see Reasons, point VIII.3). 10. Thus, in decisions G 2/12 and G 2/13, the EBA concluded that the scope of application of the term "essentially biological processes for the production of plants" in Article 53(b) EPC is interpreted to the effect that product inventions where the claimed subject-matter is directed to plants or plant material such as a fruit or plant parts other than a plant variety, as such, are not excluded from being patented (see Reasons, point IX.(1)). 11. The Notice states that, after the decisions of the EBA in the Tomato II and Broccoli II cases, the European Parliament asked the European Commission to look, inter alia, into the patentability of products derived from essentially biological processes. It is stated in the introductory part that: "(...) this Notice sets out the Commission’s views on the patentability of products emanating from essentially biological processes (addressed in Article 4 of the Directive). (...) The Notice is intended to assist in the application of the Directive, and does not prejudge any future position of the Commission on the matter. Only the Court of Justice of the European Union is competent to interpret Union law" (Introduction, penultimate paragraph). 12. It is furthermore stated under the heading 1. Exclusion from patentability of products obtained by essentially biological processes "While these decisions of March 2015 [G 2/12 and G 2/13 of the EBA] are in line with the intentions of the drafters of the EPC, it is questionable whether the same result would have been reached in the EU context" and furthermore that "When trying to assess the intentions of the EU legislator when adopting the Directive, the relevant preparatory work to be taken into consideration is not the work which preceded the signature of the EPC in 1973, but that which relates to the adoption of the Directive." "'Essentially biological procedures', i.e. crossing and selection of the whole genome [...] do not meet the general conditions for patentability, as they are neither inventive nor reproducible. Breeding is a reiterative process, in which a genetically stable endproduct with the required characteristics is attained only after much crossing and selection. This process is so strongly marked by the individuality of the initial and intermediate material that an identical result will not be obtained upon its repetition. Patent protection is not appropriate for such procedures and their products". 14. The Notice puts forward that "having regard to the preparatory work related to the Directive [...], certain provisions of the Directive are only consistent if plants/animals obtained from essentially biological processes are understood as being excluded from its scope" and then goes on to analyse the interdependency of several articles and of recital 32 of the Biotech Directive. 15. The Notice concludes that "The Commission takes the view that the EU legislator’s intention when adopting Directive 98/44/EC, was to exclude from patentability products (plants/animals and plant/animal parts) that are obtained by means of essentially biological processes." 16. In document CA/56/17, addressed to the Administrative Council of the European Patent Organisation, the President of the European Patent Office proposed that the Implementing Regulations to the EPC be amended to the effect that – in accordance with the interpretation of the Biotech Directive developed in the Notice – plants and animals produced by essentially biological processes be excluded from patentability. "(2) Under Article 53(b), European patents shall not be granted in respect of plants or animals exclusively obtained by means of an essentially biological process." Is Rule 28(2) EPC in conflict with Article 53(b) EPC? 18. The board has the following considerations regarding the appellant's line of argument as set out in section IX(a) above, that Rule 28(2) EPC is in conflict with Article 53(b) EPC as interpreted by the EBA. 19. Under Article 22(1)(a) EPC, the EBA is the judicial body entrusted with deciding and giving opinions on points of law referred to it under Article 112(1)(a) and (b) EPC in order to ensure uniform application of the law. The EBA issued decisions G 2/12 and G 2/13 providing answers to the question of the interpretation of Article 53(b) EPC in relation to the issue of whether a plant that is directly obtained by and/or defined by an essentially biological process is excluded from patentability by Article 53(b) EPC (see point 10, above). 20. It is noted that, in view of Article 112(3) EPC, the binding effect of decisions of the EBA on a board under Article 112(1)(a) EPC, applies only to the board of appeal in respect of the appeal which gave rise to the referral. However, these decisions have a de facto binding effect on the Boards of Appeal, up to the point at which they consider it necessary to deviate from them, at which point they must refer the question to the EBA. This follows from Article 21 RPBA which stipulates that: "Should a Board consider it necessary to deviate from an interpretation or explanation of the Convention contained in an earlier opinion or decision of the Enlarged Board of Appeal, the question shall be referred to the Enlarged Board of Appeal". 21. Moreover, any interpretation of the EPC by the EBA implies that the law should always have been read in conformity with that interpretation (see decisions G 9/93, OJ EPO 1994, 891, Reasons, point 6.1; G 3/97, OJ EPO 1999, 245, Reasons, point 7). An interpretation of the EPC by the EBA is thus to be applied to all cases pending before the departments of the European Patent Office and before the Boards of Appeal and in all subsequent cases, unless the EBA provides transitional provisions. 22. By decision of the Administrative Council of 29 June 2017, Rule 28(2) EPC was introduced into the Implementing Regulations (see point 17, above) with a view of aligning them with the interpretation of the Biotech Directive set forth in the Notice by clarifying that "plants and animals as well as propagation materials thereof are covered by the exclusion from patentability" (CA/56/17, points 59 and 64). 23. In the decision under appeal, the examining division reasoned that Rule 28(2) EPC constitutes a "clarification of the scope of Article 53(b) EPC". The board however cannot deduce from decisions G 2/12 and G 2/13 any other interpretation of Article 53(b) EPC than that plants are not excluded from patentability, even if they can only be obtained by an essentially biological process. Since Rule 28(2) EPC excludes plants or animals exclusively obtained by means of an essentially biological process from patentability, its meaning is in conflict with the meaning of Article 53(b) EPC as interpreted by the EBA. Can the conflict be resolved by way of interpretation? 24. The case law of the EBA and the Boards of Appeal shows that in some cases, potential contradiction between a Rule of the Implementing Regulations and the provisions of the EPC can be avoided by interpreting the potentially conflicting Rule in such a way that no contradiction exists (see e.g. decisions G 2/95, OJ EPO 1996, 555, Reasons, points 1 and 2; G 6/95, OJ EPO 1996, 649, Reasons, point 5). However, in the present case, Rule 28(2) EPC in fact reverses the meaning of Article 53(b) EPC, as interpreted by the EBA. In view of this direct contradiction, interpreting Rule 28(2) EPC in such a way that no contradiction exists is not possible. 25. The board therefore concurs with the appellant's view, as set out in section IX(a) above, that Rule 28(2) EPC is in conflict with Article 53(b) EPC as interpreted by the EBA. Are there reasons to deviate from G 2/12 and G 2/13? 26. The board recognises "the Administrative Council's power to lay down provisions concerning substantive law in the Implementing Regulations" as recognised in decision G 2/07 (see Reasons, point 2.2). However, in point 2.2 of this decision it is also noted that "The limits to the Administrative Council's law-making powers by means of the Implementing Regulations can be inferred from Article 164(2) EPC". According to that Article, in case of conflict between the provisions of the Convention and those of the Implementing Regulations, the provisions of the Convention shall prevail. Thus the board agrees with the finding in decision T 39/93 (see Reasons, point 3.2) that "the meaning of an Article of the EPC (...), on its true interpretation as established by a ruling of the Enlarged Board of Appeal cannot, (...), be overturned by a newly drafted Rule of the Implementing Regulations, the effect of which is to conflict with this interpretation". The board concludes that it must apply decisions G 2/12 and G 2/13 unless it has reasons to refer the same question underlying these decisions for reconsideration by the EBA. 27. Where a question of law has been answered in a decision of the EBA, according to Article 21 RPBA a referral on the same point of law is required if the board considers it necessary to deviate from the interpretation of the Convention contained in the decision of the EBA. 28. Therefore, the board considered whether there were reasons to deviate from the interpretation of Article 53(b) EPC given by decisions G 2/12 and G 2/13 due to developments occurring after said decisions were issued. 29. The interpretation of the Biotech Directive as put forward in the Notice cannot be seen as a relevant development because it has not been confirmed in a legally binding way. Within the legal framework of the European Union (EU), a binding interpretation of provisions of EU law such as the Biotech Directive are decided in last instance by the CJEU (Article 267(b) Treaty on the Functioning of the European Union). This was recognised in the Notice itself (see point 11, above). The Notice therefore has no legal authority. 30. In decisions G 2/12 and G 2/13, the EBA considered whether a Rule of the Implementing Regulations could be regarded as a subsequent agreement or practice between the parties on the interpretation of the treaty or its application under Article 31(3) of the Vienna Convention. This question was left unanswered (see Reasons, point VII.4. (1) and (2)). 31. In view of this consideration of the EBA, the board addressed the question of whether an interpretation of Article 53(b) EPC, different from that given in decisions G 2/12 and G 2/13, is necessary in view of Article 31(3)(a) of the Vienna Convention in particular. This provision stipulates that, for the purpose of interpreting a treaty "there shall be taken into account, together with the context: (a) Any subsequent agreement between the parties regarding the interpretation of the treaty or the application of its provisions". 32. If the adoption of Rule 28(2) EPC by the Administrative Council (see CA/D 6/17 and point 17 above) were to be considered a subsequent agreement in the sense of the Vienna Convention and used for the interpretation of Article 53(b) EPC, this would reverse the meaning of Article 53(b) EPC as interpreted by the EBA (see point 24 above), i.e. it would represent an amendment of an Article of the Convention. 33. The Administrative Council is competent to amend an Article of the Convention pursuant to Articles 33(1)(b) and 35(3) EPC. The Administrative Council is therefore competent to amend “Parts II to VIII and Part X of this Convention, to bring them into line with an international treaty relating to patents or European Community legislation relating to patents”. 34. However, the Administrative Council is not, in the light of Articles 33(1)(b)and 35(3) EPC, competent to amend the Convention, here Article 53(b) EPC, by amendment of the Implementing Regulations, here Rule 28(2) EPC. 35. Although the Administrative Council is also competent to amend the Implementing Regulations pursuant to Article 33(1)(c) EPC, this competence does not extend to amending an Article of the Convention, here Article 53(b) EPC (see point 26 above). 36. Consequently, the decision to adopt Rule 28(2) EPC cannot be regarded as a subsequent agreement between the parties that shall be taken into account for the interpretation of the treaty, in the meaning of Article 31(3)(a) of the Vienna Convention. 37. It goes without saying, that the Notice is not such a subsequent agreement either, as the Commission does not represent the Contracting States of the EPC. 38. In view of the above, the board considers that it is not necessary to deviate from the interpretation of Article 53(b) EPC given by the EBA in decisions G 2/12 and G 2/13. 39. The EBA has given an interpretation of Article 53(b) EPC from which the board sees no reason to deviate. Furthermore, no point of law arises in relation to the course of action in case of a conflict between a Rule of the Implementing Regulations and an Article of the Convention because this situation is governed by Article 164(2) EPC. For these reasons a referral under Article 112(1)(a) EPC is not justified. 40. The board considered the arguments brought forward by third parties, especially the arguments of the third party whose views contradict the view of the appellant (see section XI, above). 41. With respect to the argument concerning the interest of plant breeders to freely perform crossing and selection without being hampered by patents, the board is also aware of the interest of inventors to benefit from their work and that of society to encourage technical development. However, balancing these interests is a matter for the legislative body. Such considerations cannot play a role in the legal assessment of the issues raised in the present case. 42. As the board is persuaded by the appellant's first line of argument, set out in section IX(a) above, the issue of whether or not the Notice adopted a narrow interpretation of essentially biological processes or referred to an alleged broader interpretation of essentially biological processes as defined in decisions G 2/07 and G 1/08 (see section IX(b), above) need not be considered. 43. The view that Rule 28(2) EPC served to ensure consistency between the Biotech Directive and the EPC and with that legal certainty, is based on the presumption that the Biotech Directive has to be interpreted as set out in the Notice. As explained under point 29 above, such a presumption is not valid unless the CJEU has decided on the matter, which it has not. In fact, adopting the interpretation of the Notice in the absence of a decision of the CJEU on the matter, creates a risk of misaligning the provisions of the EPC with the Biotech Directive, should the CJEU later concur with the analysis of the EBA. 44. It is reasonable to presume that the EBA would have taken the Notice into consideration if it had existed at the time of adoption of decisions G 2/12 and G 2/13. However, in the light of the conclusions the EBA drew from the different lines of interpretation, there is no reason to assume that it would have found the Notice decisive for its findings. 35. Thus, the arguments of the third party are not persuasive. 46. Having established that Rule 28(2) EPC is in conflict with Article 53(b) EPC as interpreted by the EBA and in view of Article 164(2) EPC, it must be concluded that the provisions of the Convention prevail. 47. Thus, the decision under appeal, holding the subjectmatter of claims 1 and 2 to be within the exception to patentability of Article 53(b) EPC and Rule 28(2) EPC, is to be set aside. The appeal is found to be allowable. 48. Pursuant to Article 111(1) EPC, following the examination as to the allowability of the appeal, the board will decide on the appeal and, in this respect, it may either exercise any power within the competence of the department which was responsible for the decision or remit the case to that department for further prosecution. 49. The board was of the preliminary opinion that the claims of the main request had deficiencies under Articles 84 and 56 EPC (see section IV, above). ubmit evidence to the effect that the San Luis Ancho plant disclosed in document D1 differed from the claimed plant not only in the shape of its fruit but also in its physicochemical properties. 51. Having regard to the fact that the provision of experimental evidence takes a certain time and to the appellant's request for a remittal of the case, the board decides to remit the case to the examining division for further prosecution, thereby giving the appellant the possibility both to submit further evidence and to have its case heard by two instances. 52. Since appellant's main request is allowed, there is no need to consider their auxiliary requests. This decision T 1064/18 (pdf) has European Case Law Identifier: [not yet known]. The file wrapper can be found here. 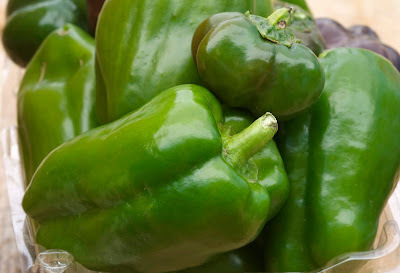 Photo "green peppers" by "liz west" obtained via Flickr under CC BY 2.0 license (no changes made).